He's baaaaaaaaaaaaaack. Michael Franti and Spearhead bring their yogi-lovin-world-ways to Bend, Oregon, Sept 8.
ertain events have come to mark summertime in Bend. Locally produced events such as Bend Brewfest, the Bite of Bend and the Cascades Cycling Classic have all become time-honored traditions in our sun-soaked town. 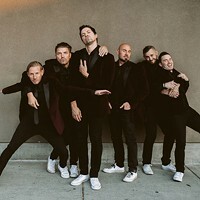 When it comes to music, you can always expect a lineup at the Les Schwab Amphitheater that runs the gamut of genres, but one artist has become a stronghold of the Bend summer music scene. Each summer, Michael Franti & Spearhead grace the stage in our fair city, and it's a tradition we've all come to look forward to. Franti, along with his band, blends rock, reggae, soul, funk, hip-hop and pop to create uplifting and inspiring jams that you won't be surprised to hear at a house party or on a romantic playlist dedicated to your sweetheart (yes, "Life is Better With You" does actually appear on a sweet playlist I've recently created). "Music is about storytelling," Franti says. "And when you can tell a story that people can identify with, through a great beat, it brings it into someone's heart in a different way." Franti spoke about recently meeting a woman at one of his concerts, who's currently going through chemotherapy. "She listens to the stories in my songs and it takes her on this journey, a healing journey and gives her the inspiration to be there," Franti says. "To take on that medicine, that's a challenging, painful experience. And it helps her to get through it. That's a very personal side to the music." "Right now, we're in a time in our country where there's so much pain and division, you see hatred out there," Franti says. "Music is also a way to inspire people to do things on a macro level. To stand up for equality, for diversity, stand up for love and to feel that." 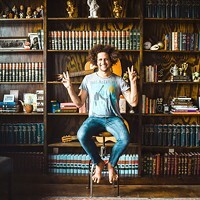 ranti's mission through his music is to create community, which aligns with the goals of Bend-based organization World Muse. For the last several years, Franti has joined World Muse for community outreach events before his concerts at the Les Schwab Amphitheater. "We started doing events with them, which have been super fun and super inspiring," Franti says. "Bringing the community together either to do yoga or we've done some bike parades. It's been really cool to partner with them. [I like] bringing people from the Bend community and our music community together to celebrate the upliftment of women around the world. "As a traveling musician, normally we're going from sound check to sound check, to show to show to show. It's really great to have that pause in our tour schedule to really be doing something that's fun and celebrating that sense of community." 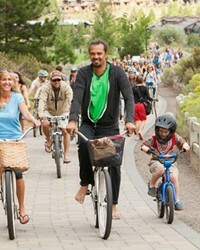 In addition to participating in events with World Muse, Franti loves his annual pilgrimage to Bend. He loves getting in the river, playing volleyball at the beach courts in the Old Mill, going on bike rides around the area and playing in the "idyllic location" at the Les Schwab Amphitheater. 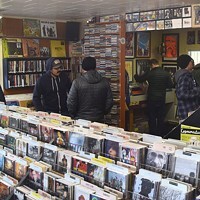 "It's just an incredibly great community of people who are, what I call, 'Soulrockers.' People who live from their heart, who have compassion for all and who have a tenacious enthusiasm for music, and for people, and for the planet. I really see that in the Bend community." 344 SW Shevlin Hixon Dr., Bend. Muse + Soulrocker Yoga Jam with Michael Franti Today!